I've been doing a lot of exploratory work in Haiku R1A2 over the last few days. Really, this is not because it's a truly great OS, but because it's young and potentially very exciting. Something that has annoyed me since the pre-alpha days, to R1A1 and now with R1A2 is that the desktop backgrounds are dull. Of course it's very easy to change but I didn't want just a favorite photo or drawing but something that still showed it was Haiku. So, on my MacBook I did some Gimp work and produced these wallpapers which are much more to my liking. 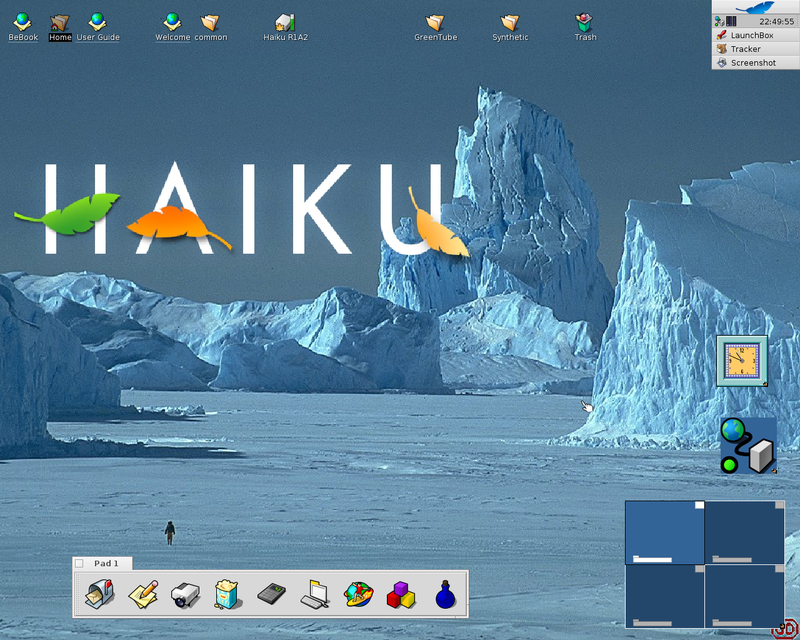 To do this, first you need some good desktop backgrounds. I stumbled upon this site which has some really great pictures so I downloaded a lot from here. Next you need some Haiku logos. This site explains how to get them. Note that I just picked out the .png images from the list of stuff that ended up in my ~/artwork folder. 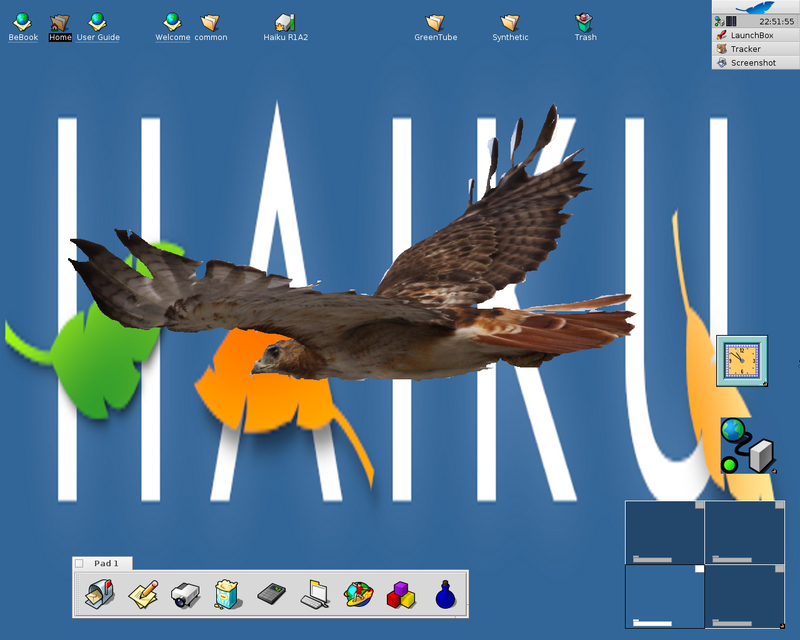 I selected a white on transparent Haiku logo as a .png file. 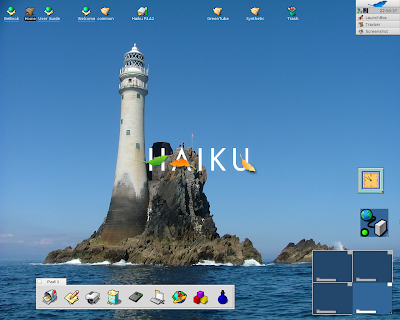 Next, open up Gimp (I did this in OS X on the MacBook as I haven't got Gimp working in Haiku yet and don't even know if it will work) and open the main background image. Then, in Gimp, go to File >> Open as Layers and pick out your logo. 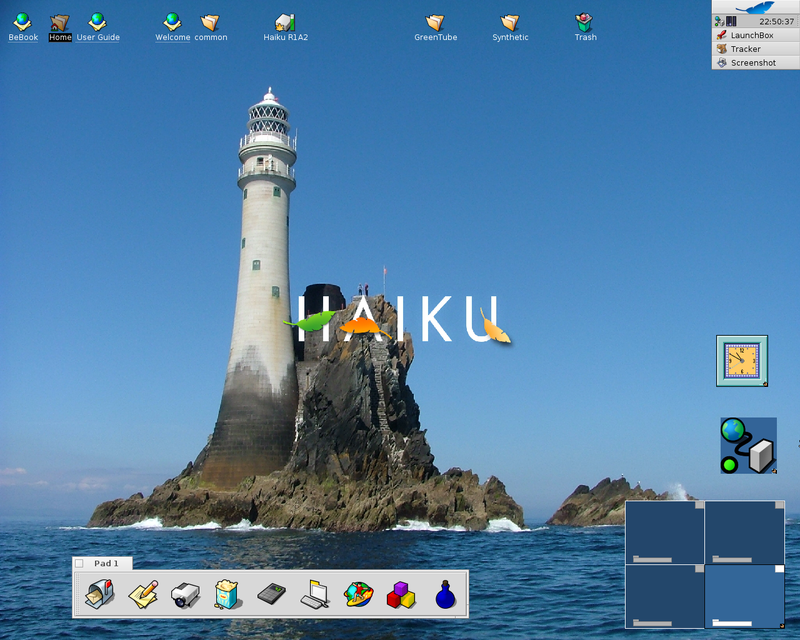 Now you should see the Haiku logo superimposed on your picture. Now go to Tools >> Transform Tools >> Move and move the logo to wherever you want it. Finally, save the image (save as). Note that you will be asked to export the file because of some difficulties with the transparency but this is not a problem. 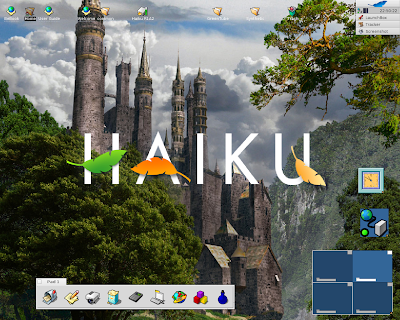 Once you get your new wallpaper over to Haiku (I had Haiku on a different computer, so I emailed it to myself) make sure you store it wherever you're going to permanently keep it. If you move the image to a different directory after you set your desktop background, when you reboot, you'll have the plain blue background back. To set the background, right-click on the image, click on Add-ons and then on Background. Adjust the hues/saturatiosn if you wish and then click Apply and that's it. 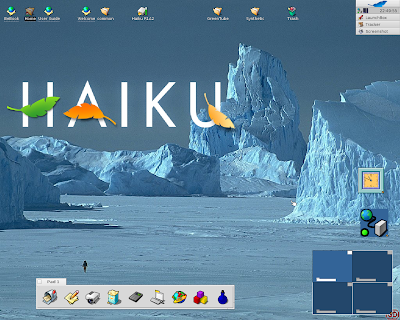 Incidentally, using the Workspaces desktop applet, it's very easy to have a different background on all of your workspaces.